These mother-of-the-bride (or groom!) dresses are anything but matronly. This off-the-shoulder sweetheart gown is a timeless silhouette that will look good on different body types. 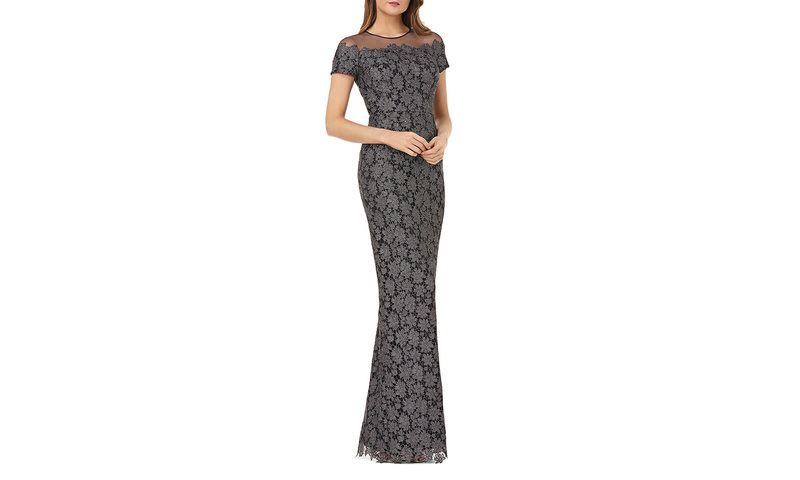 The sequined pattern gives the classic mother-of-the-bride evening dress a high-fashion upgrade. It’s nearly impossible to go wrong with an off-the-shoulder evening gown. 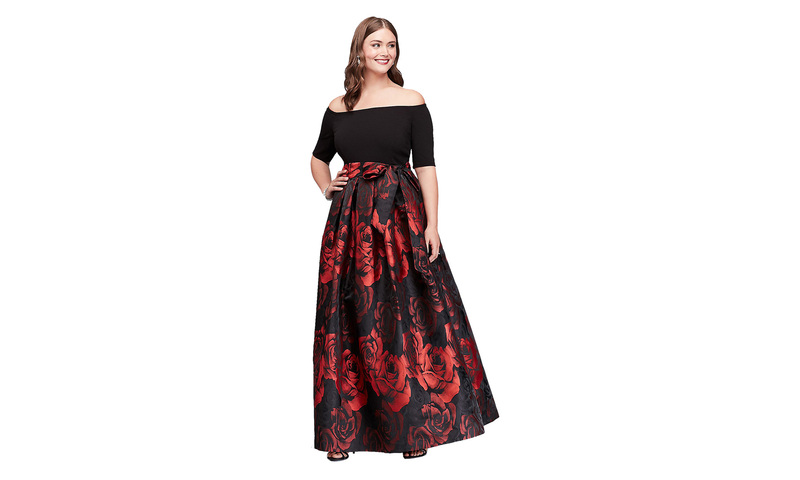 The fitted top and elbow-length sleeves show off your figure, and the voluminous long floral skirt makes it appropriate for all types of formal weddings. We’re obsessed with the illusion mesh bodice on this long mother-of-the-bride gown, which is available in plus sizes. The embroidered top adds an alluring touch, while the empire waist silhouette elongates your figure. If dresses aren’t your thing, opt for a sleek pantsuit like this one from David’s Bridal. 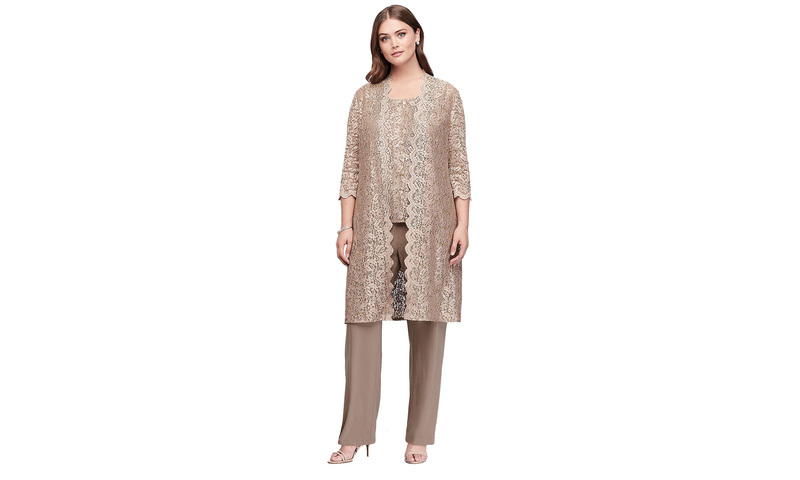 The long lace jacket makes the outfit feel more elegant than your average suit, and the champagne color is perfect for the extra special occasion. Just because you’re the mother of the bride doesn’t mean that you are required to wear a full-length look. 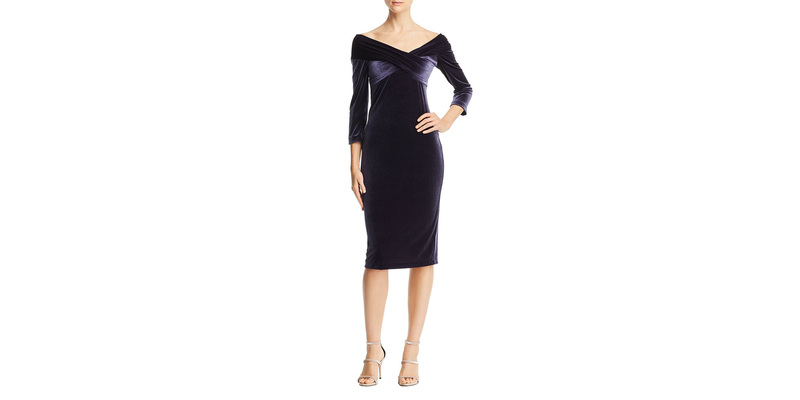 The crossover V-neck and long sleeves add a sophisticated touch to this sleek velvet knee-length number. If you’re looking for a flattering mother-of-the-bride dress for plus sizes, try this stylish lace option. The bell sleeves make the silhouette more youthful, while the shorter hem allows you to show off your killer shoes—even though you’re rocking a longer length. If there was one universally perfect mother-of-the-bride dress, this would be it. The sleek wrap silhouette is flattering on a variety of shapes and sizes, and it’s made from a comfortable jersey fabric that’s stretchy and perfect for dancing all night long. Plus, there are seven beautiful colors to choose from, ranging from hunter green for a fall wedding to blush pink for a spring one. We can’t get over how pretty this patterned short-sleeved gown looks. The tailored bodice cinches in your waist, while the illusion neckline adds a stylish touch. It’s pretty much the definition of elegant. This tea-length dress is perfect if you plan on hitting the dance floor all night. The matching sequined jacket balances out the below-the-knee hemline and gives the entire ensemble a more sophisticated feel. If you want to wear a modern-looking full-length gown to your daughter’s wedding, opt for this chic frock. The asymmetrical neckline and sharp, layered panels add an edgy (but still sophisticated) touch. 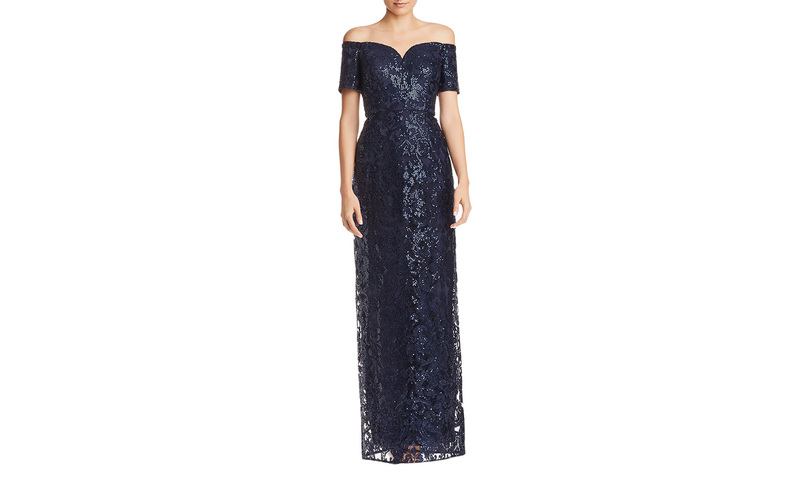 For a semi-formal wedding, give a lace cocktail dress a try. The sheath silhouette is super flattering, and the metallic silver fabric makes it feel refined. If you are in the market for a mother-of-the-bride dress for a beach wedding, look no further. This dress is great for seaside ceremonies because the long silhouette keeps it formal while the bold color will pop against the sandy backdrop. While it works for formal events, it’ll look just as nice dressed down with a pair of sandals on the beach. Bonus: It’s sleeveless and has an open back, so you won’t overheat in the sun. This long evening dress would be great for spring and summer weddings. The illusion one-shoulder neckline gives it a retro vintage feel, and the side cascade adds dimension to the look. Plus, we love that this coral mother-of-the-bride dress looks flattering on different skin tones.